Prices are per night. All prices are subject to change. 25% deposit to be paid to secure the booking, remainder due 4 weeks before departure. £200 / €200 breakage deposit required. Brand new 2 bedroom apartment that can sleep 5+1, close the beach, bars and restaurants, private parking and shared pool. 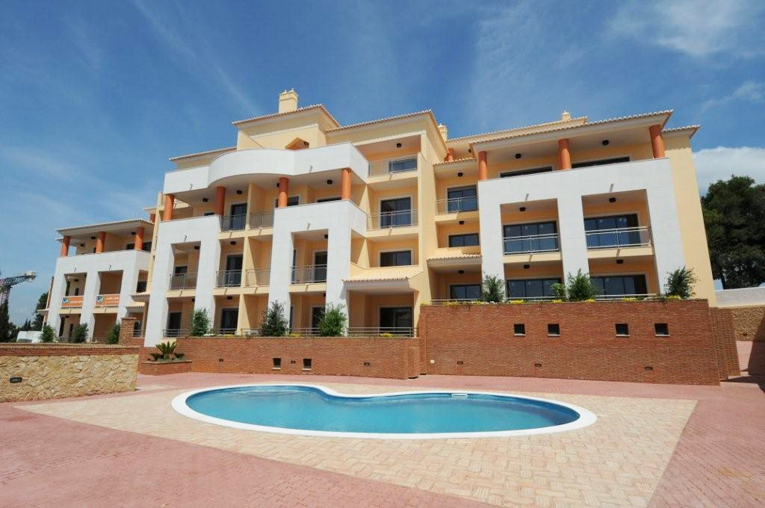 This apartment has just been completed and furnished to a high standard, it is on the 1st floor with a lift and stairs leading up to it, has its own private garage for parking and it´s located very close to the beach and all amenities. It is perfect for a family holiday! The apartment is bright and airy and has 2 bedrooms: the double has an en suite bathroom and the second bedroom has a double bed and a twin bed, as well as a balcony overlooking the shared pool. There is also a shower room. The dining and living room has a balcony with a sea view and also overlooks the pool (this balcony has patio furniture). 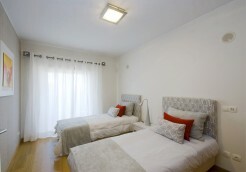 The living room has TV and DVD player and a sofa bed for 1 adult or 2 children. The fully fitted kitchen has everything you need with an added bonus of a balcony overlooking the back of the apartment complex. 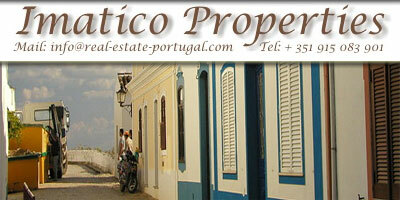 Great apartment and perfectly situated!